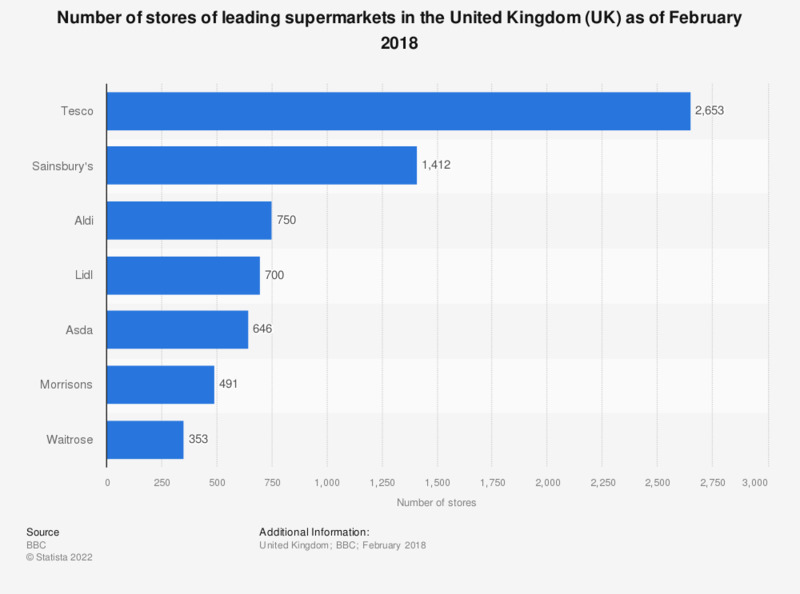 This statistic shows the number of stores for seven of the leading supermarkets in the United Kingdom (UK) as of February 2018. Tesco had by far the highest number of stores in the United Kingdom, with a total of 2,653. This was almost double the amount of Sainbury's who had the second highest number of stores open.